Click Here Start Your Free Trial Today! 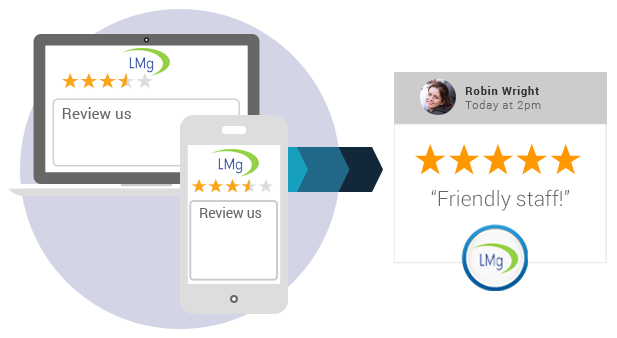 With LMG, your positive reviews are automatically showcased on your website, Google+, Facebook and Twitter, and indexed by search engines like Google, Bing and Yahoo for higher search result ranking. 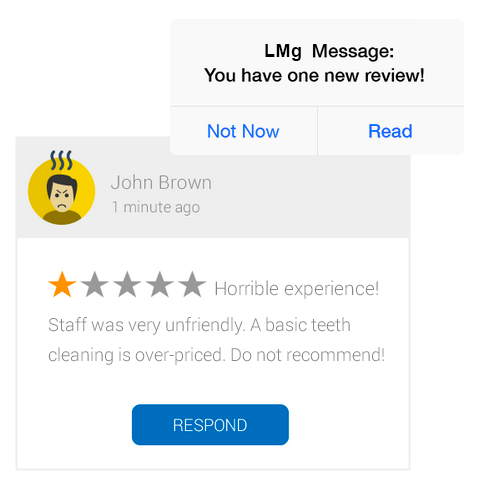 With LMg, your business ranks high on Google and with a positive reputation. 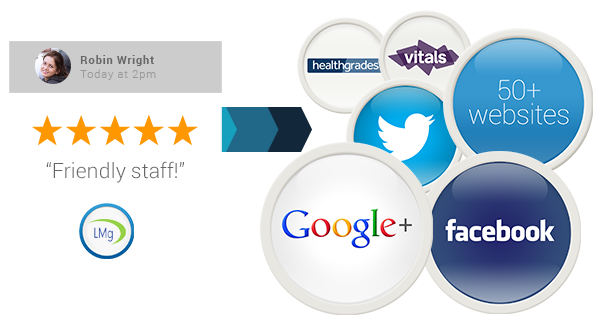 That means customers choose you, and not your competitors. 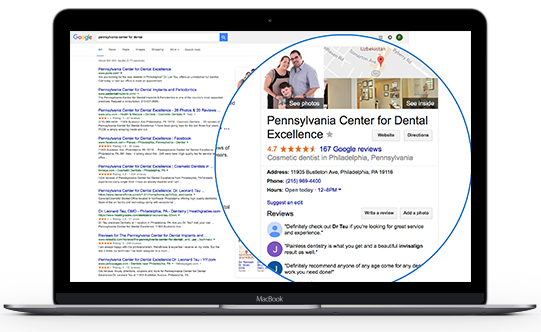 Start getting new reviews on Google, Facebook and Yelp!